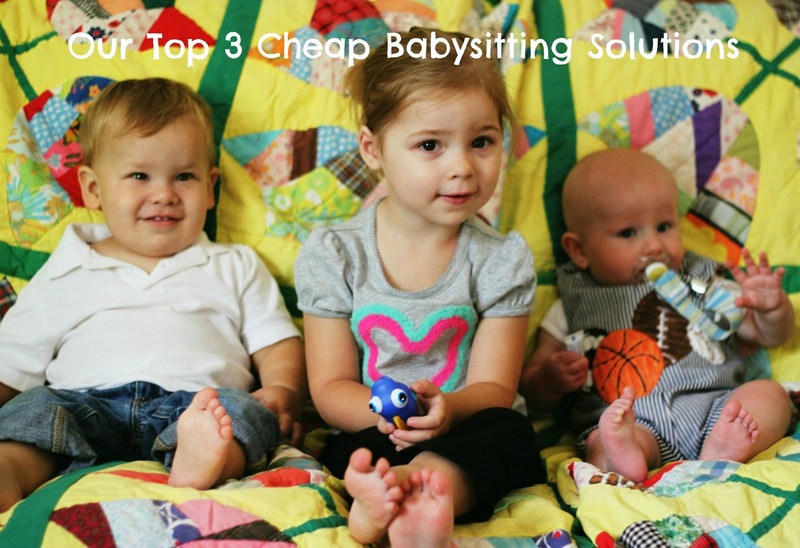 As parents on a tight budget, we are always looking for a cheap babysitting solutions so we can have date nights, go to social events, and spend time with friends. We don’t have any family near us, so that’s not an option. In Dallas the going rate for babysitting one child is around $10-15 per hour. PER HOUR, people. That means if we want to go out to dinner and a movie we are shelling out an additional $40 to the babysitter, minimum. There is no room in our budget for that kind of expense, unfortunately. Our whole dining out and entertainment budget for an entire month is $95. Yep, that’s it. We are on one income and prioritize saving for retirement and other things above dining out and entertainment. So, we’ve had to get creative when it comes to babysitting solutions. We’ve found a few things that work well, and one we really want to try. 1) Parents’ Night Out – Several churches and local kid businesses (YMCA, etc) host Parents’ Night Out evenings a few times a year. We sign up for every one we come across. In our area these are typically a 4-5 hour window where you drop your child off and pay a fee to help the church youth group raise money. Most churches are well equipped to care for children because they do it on a regular basis, and we feel good about helping out a local church. Usually you don’t have to be a member, and most in our area charge $10 for the first child for the whole time slot, and $5 for each additional child. This is a steal! To find a Parents’ Night Out in your area, just do a google search or call local churches or kid friendly organizations. 2) The Swap – Trade babysitting nights with another family. We’ve done this a few times and hope to schedule more in the future. Most kids Bear’s age go to bed around 7 pm like he does, so we put him to bed and then have 1 parent from another family come over and watch tv, read in peace, etc on our couch while we go out for a few hours. Then one of us goes over to that family’s house on another night to relax and watch the baby monitor while they go out. Everybody wins. This doesn’t work as well for single parents unless you can take your child to the other house and put them to bed there, then transport them home when the parents return. 3) The Co-op – My parents were part of a babysitting co-op in our neighborhood growing up, and my mom has encouraged me to start one here with our friends. A babysitting co-op is a group of families who organize themselves to trade off babysitting using a point or voucher system. You earn points by babysitting for others, and then cash them in when you need a sitter. I haven’t gotten around to starting or joining one, but hope to soon. What’s your best cheap babysitting solution? I’ve always wondered about Parents Night Outs. We’ve seen them but have never used them. thanks! Thanks for solutions. That’s great.